It has been a weekend of excitement in my neck of the woods. The Olympic Cycle road race events came to the beautiful Surrey Hills, and Box Hill took centre stage. So as you can imagine the garden, and the allotment have had to come second. Thankfully the garden is looking after itself at the moment, and quite frankly my allotment is past rescuing, at least as far as this summer goes, although the runner beans are starting to form and I’m keeping an eye on their progress. I know that next year will be different as I will have had the autumn months to tackle the weeds, and I have a grand stock of seeds for autumn sowing (more in a future post) just waiting a few more weeks until I can get them going. 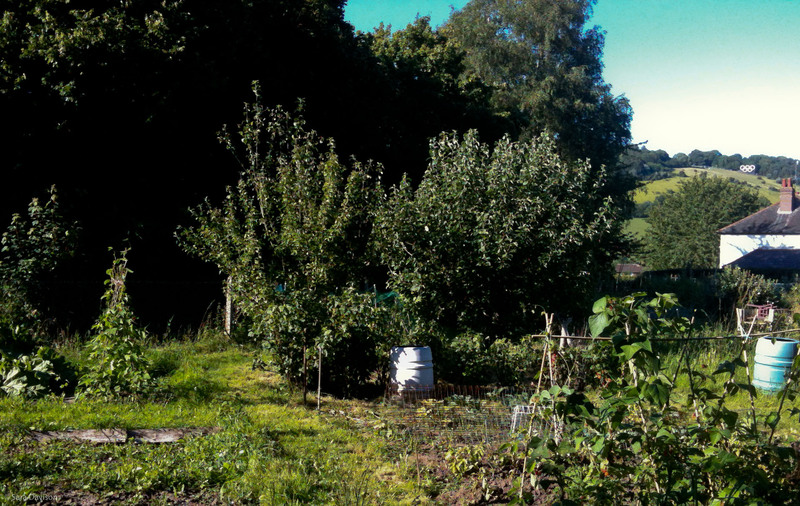 The photo I’ve added to the end of this post was taken from the allotments, but is more about the backdrop – although this year my allotment (to the left of this image) is not a medal winner it does have quite an iconic hillside behind it! This entry was posted in Adventures in my allotment and tagged allotment, gardening, outdoors. Bookmark the permalink. Sadly lots of people have, not surprisingly, given up with their allotments for this year.